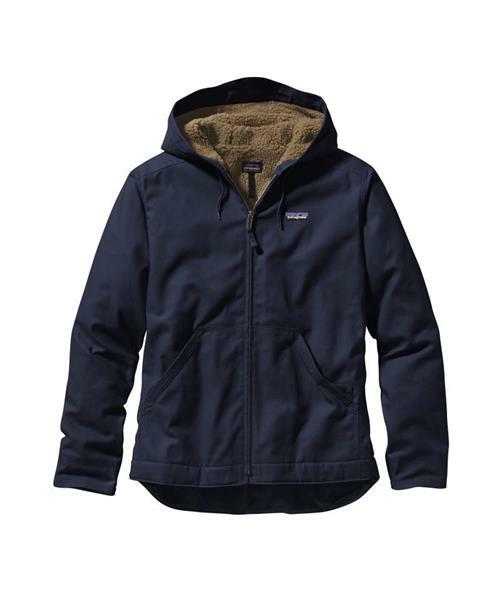 Patagonia's heavy-duty, workwear-inspired Lined Canvas Hoody is built of durable 10-oz organic cotton canvas with ¼"-pile polyester fleece lining (70% recycled) in the body and hood. Polyester-lined sleeves have gusseted underarms and articulated elbows for increased range of motion through the upper body. The attached hood has a drawcord for adjustability. A drop-tail hem provides extra coverage for your lower back on cold and windy days. With full-length welted center-front zipper and two deep handwarmer pockets; the left pocket has an additional drop-in pocket for your phone and keys. Hip length.